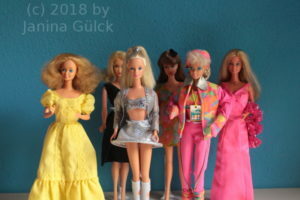 I recently saw this report and thought maybe this could be interesting to some of you since you can see the biggest Barbie doll collection of the world there. In the last week my Japanese Barbie doll book from Amazon Japan arrived. It was much faster in Germany than I expected. I haven’t read much in the book yet. I have to translate it sentence by sentence from the Japanese but this is going to last some time but I’m curious what to read and find in it. 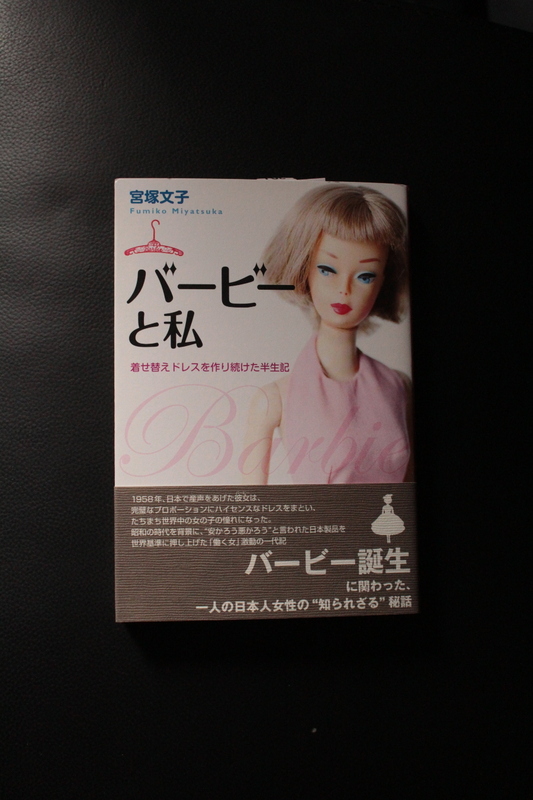 This is my first real Japanese Barbie book. I have another one but it has not so much text and I haven’t translated it. For the long journey from Japan it arrived here in an astonishing short time. I think it was only three or four days. I didn’t expect it to arrive so soon. In general I can say that it is no problem to order there a book. I’m really curious what Fumiko is going to tell. 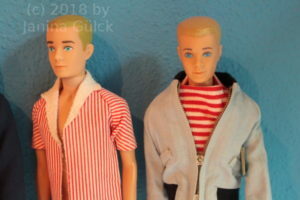 She worked closely with Charlotte Johnson in Japan for one year and they produced the prototypes of fashions for Barbie available in 1959. Last week I saw the video I posted last week. 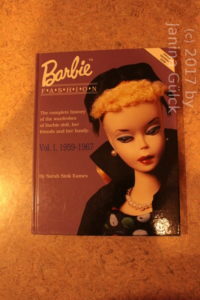 I saw there a Japanese Barbie book which I have never seen before neither heard of. Although I can’t read Japanese it seems very interesting since this book was written by the Japanese seamstress of Charlotte Johnson ( first Barbie designer). 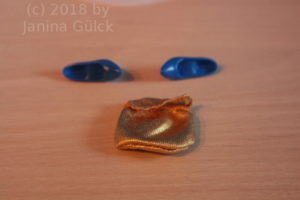 The woman has an interesting story to tell how to make prototypes for later Barbie doll dresses but I think it is far more interesting to learn how she saw the whole thing. The only place where I could find this book was Amazon Japan. So I created my account. That was not as hard as I thought it would be. You can switch almost everything to English and need a credit card but that’s almost all you need. In my case I got a mail from the customer service which I misunderstood at first because it was all written in Japanese. Very funny and the google translator obviously did it wrong at first too. So several days later I got a second mail from the customer service that said something was wrong with my credit card. They were right. I had given them a wrong date. After I changed the date it was no problem to order and by the begin of the next week the book should already be here. So this was my adventure buying at Amazon Japan. If you get a mail from the customer service after your order you know what this means … check you credit card. 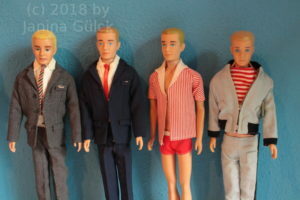 When I started to collect Vintage Barbies I had no idea how to distinguish all the different Ken dolls. Now I have one from each year (1961- 1964). When you have a look at the pics you can see differences. The make up differs each year. These pics show only the straight leg Kens. Last weekend I saw something special. I had never seen nor owned a Kelly from Takara. 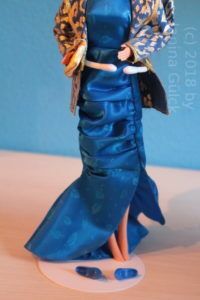 Takara is practically a synonym for Barbies from Japan since the 1980s. 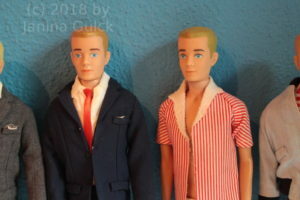 They are very popular there like the real Barbie dolls have been there in the 1960s. Yesterday I collected this cute being from the postal office. Update: I did a little research when I got home. 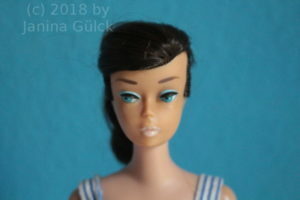 Since I’m not familiar with Takara dolls I asked other collectors. 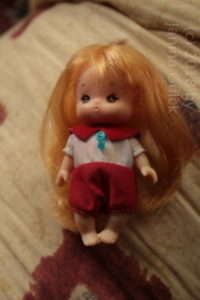 This little doll is called Miki. 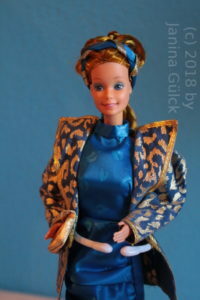 She’s one of the twin sisters of Licca. They are called Miki and Maki. This outfit is not new in my collection but I forgot the number of the outfit. So I had a problem to tell you about the outfit. It’s so sad that there are no reliable books from the 1980s with all fashions. Often it’s a coincidence when you find the number. Today I’m able to present you the right number for the outfit. This outfit has the number 3278. It was released in the Haute Couture collection 1986. 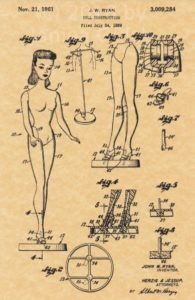 Do you know the patent for the very first Barbie ? 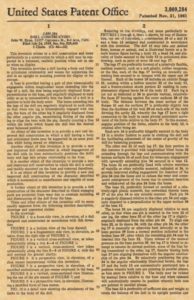 Do you know how a patent has to look like? I’m no attorney and I had no idea that it looks like this. I found the sheets several months ago. Another collector sold them to me. It’s not the real patent. 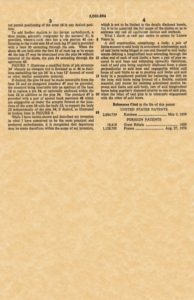 It’s a copy of the real patent. It’s not always easy to get the information you need in the Barbie world. 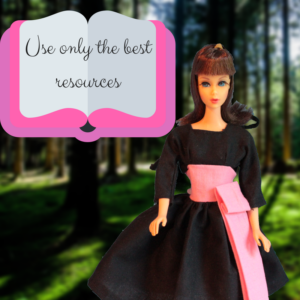 There are several books about Barbie but which one is good and which one is bad? What is contained in the book? When found out that there were books in the early 2000s I was very confused. Which would be the right one for me? I bought everything I found piece by piece. Some books are limited editions. The prices explode as soon as they are sold out. The content really varies. Some books are good for ID. They contain a huge quantity of Barbie dolls with their boxes. 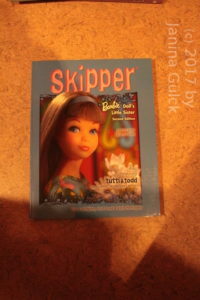 Others focus on special topics like Skipper, the younger sister of Barbie. 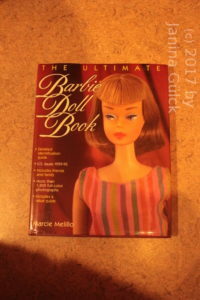 Some books are really useful for learning about Vintage Barbie ( Vintage era from 1959-1967) and how to differentiate the early Ponytail Barbie dolls. There is a book series by Sarah Sink Eames about fashion until 1979. The series consists of three books, one for the Vintage era, one for the MOD era (Mod era from 1967- approx. 1976) and the last book contains the early Superstar era until 1979. You may ask yourself now what to do if you have fashions produced after 1979. 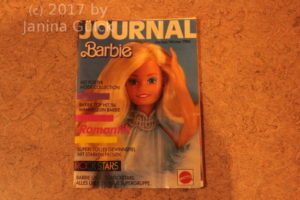 Well, some collectors refer to Barbie Journals. I don’t know if they were available in the US too but in Europe they were. 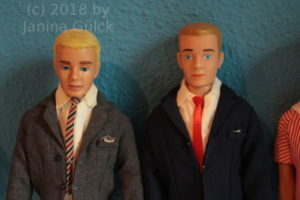 You could find them in lots of toy store with a Barbie doll department. 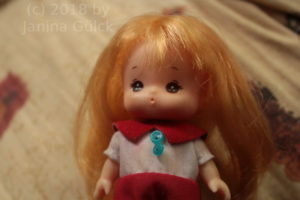 When I was little there were at least 2 editions every year with the latest dolls, fashion, furniture and pets. 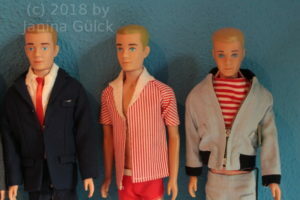 It was like a little catalogue. In four weeks before Christmas I always was very fascinated by them with their perfect environment. Pure advertising but I liked it in time before we had the Internet.